I'm having battery problems with my 2010 F150. I bought a nice used 2010 F150 XLT 4.6L 3v. in April 2014. Only has 67,400 miles on it. Its been a great truck. But since then I have gone through 3 batteries. The original and 2 replacement Motorcraft batteries BTX 65 650s. I have had it in to have the system check and no open circuts were found. The two replacement batteries last about a year and a half. My 3rd battery is starting to give me problems. I live in western NY and we do have cold winters. I don't drive the truck all the much in the winter. At the moment if I let the truck set for 3 or 4 days it doesn't crank hard enough to start so I get out the charger and with in 5 minutes of quick charging it starts. I'm wondering if my anti theft indicator which blinks every 2 seconds when the ignition is of is enough to run the battery down during cold weather? Or could it be my alternator charging intermittently? When I got replacement batteries I check the manufactured date. I know all about new batteries setting around for months or even years before their sold. I had the replacements with the newest dates installed. But its not like the old days when you bought a new battery and they sold the dry then filled them with acid, charged them and you were on your way. Plus all the cheap Chinese made batteries out there are junk. Any ideas ? Thanks for any suggestions. I would check to see if there is any corrosion where the cables connect to the battery, along where the cables connect to the starter and ground to the chassis. It is possible that your starter may need to be replaced, although this is probably not the problem. You may have a open circuit that is causing the battery to discharge and you'll have to take it to a dealer to find the problem I doubt that you could have bought 3 batteries that would go out in such a short period as I have 4 vehicles that I don't drive much and haven't had a battery fail that was less than 5 years old. If you are a DYI guy you can tackle this. By all means check your connections first. But from what you described that the battery gets run down this may prove helpful.You may have an excessive draw on the battery when the truck sits. 3 or 4 days should not be a problem. Also if the alternator output if below requirements it will put strain on the battery. Likewise a weak battery will over work the alternator. Check your alternator output first 70@525rpms to 155 amps@2000rpms. It should maintain 14 volts with loads on. Per the shop manual for the draw test. It should not exceed 50mA draw. Exercise caution handling battery and cables! 1. Drive the vehicle for at least 5 mins and over 30mph . 2. Make access to to fuse panel and power distribution box. All lights and accessories should be off as well as the ignition. I would close the latches on the doors you need to access so as not to wake up any modules later. 3.Allow the vehicle to sit with the key out of the ignition for at least 40 minutes. Modules will power down. 4.Connect a fused jumper wire (30Amp fuse) between the negative battery cable and battery post to prevent the modules from waking. Remember if contact is lost step three will need to be done AGAIN. 40 minutes lost so be delegent. 5.Disconnect the negative battery cable without loosing the constant connection of the jumper wire. 6.Reminds us not to lose that jumper connection.Connect a meter between the negative battery and the post. The meter must be capable of reading milliamps and should have 10 amp internal fuse. Set the meter to the milliamp scale and attach the leads to the meter, cable and battery. If you turn on any loads accidentally you WILL blow the fuse. 8.Note the amperage draw. If it is less than 50 milliamps the battery or charging system may be at fault. 9.If the draw is excessive start pulling fuses one at a time(leave them out) until the meter drops below 50mA. Once you identify the fuse that is on the circuit of the excessive draw you should see what components get power from that fuse. Then I would disconnect the easiest component first put the fuse back in and check again. If that wasn't the one move to the next and so on til the source is found. 10.Involves wiring diagrams and checks the BJB or the SJB. You will need diagrams if you get this far. I hope you find this information useful for your situation. If all of the aforementioned testing is inconclusive, some other possibilities. Do you know if the truck has a LoJack tracking device installed? As they get old, the LoJack battery goes bad and places a drain on the system intermittently. Since it does not drain the battery all he time, finding it by removing fuses is difficult. Finding the LoJack in the car is a problem, since LoJack will not divulge where they hid it and they charge a fee for removal. Along the same lines, some car dealers install GPS trackers and shut off systems in their cars so that they can harass customers who are late in paying. If they don’t remove them when the car is fully paid, they can cause the same problems. I have had two cars with LoJacks installed that exhibited the same battery problems that you are experiencing. Thanks guys for your input. All my connections are fine and as I mentioned no open circuits were found, but who knows. These damn new vehicles have so many sensors, modules and active electrical components is mind boggling. Battery cables look like new. Don't know if I have a LoJack tracking device. Where would it be located? Don't believe it does as my truck was all paid off in 1 year. I did not finance with the dealer did that through my bank. So I owe nothing. I will have the alternator checked as that was my next suspicion. I'm not a good spark chaser so I'll need someone to assist me on those issues but. I will make note of what you guys recommend. My brother has a 2012 F150 and still has the original battery in his truck. He only lives 6 miles from me so he is subjected to the same weather. I'm still wondering about my anti theft indicator that blinks every 2 seconds while the truck is not running. It wasn't activated when I bought the truck but my son and I fiddled around with the 2 keys one of which activates the anti theft indicator. I read the owners manual about how to deactivate it but its not written so I can't understand it. Very confusing. One other note. Last week I checked the cells and 3 or 4 cells were down little on electrolyte. I topped them off with distilled water and it didn't seem make much difference. I started it up today with no problem but I'm worried it won't start if I let it set for 3 or 4 days. My son had trouble last year with his 2012 Mustang GT. It sat for 4 weeks and it roached the battery. A friend of mine let his new Caddy set for 3 weeks and it too wouldn't start. These new vehicles give me a pain where a pill couldn't reach. Thanks again guys feel free to post any other suggestions. Thanks for the car gurus site. Looks like many other F150 owners are having the same problem. I like what one guys said. They have pushed the 12V system to the max and it needs to be upgraded to 24V system. I also have a remote starter which I never use. Could that be the problem ? And as I mentioned my anti theft system is active all the time the vehicle sets. Another possibility ? I don't know if I can trust the techs at my nearby Ford dealer. 2 years ago when I had my truck inspected the tech couldn't get my stock lug nuts off to inspect the breaks. I had to take them off myself at home. They were the stainless cap covered lug nuts and the tech used about 400 ft/lbs. on his impact wrench and stripped them. Needless to say I was P.Oed when I went back. They didn't charge me for the inspection. I can't believe the techs in these dealerships are properly trained on diagnostics on all vehicles. I have heard allot of stories about other dealerships, not just Ford where the dealer tech can't find certain problems and the costumer just leaves in frustration. I had thought about the trickle charger too but that seems like a real pain as my truck sets out side all winter. And also though about a kill switch but am afraid the computer eventually going haywire doing so many resets. My current battery was purchased in Aug. 2016. Why has it functioned well until now? I'm thinking my remote starter my be the culprit. I have never used it. Could that be the problem ? I checked the O'Reilly Auto Parts website and one of the recommended batteries for a 2010 F-150 was a Motorcraft BXTG5-850 battery, which has a rating of CCA 850, the highest listed for any battery for the F-150. I know that cold weather is tough on batteries and when it gets really cold, it takes a lot of current to start a vehicle. I recently replaced the battery in the BOSS 302 and bought a Bosch CCA 960 that was meant for a 911 Porsche as it was 13 inches in length, but still a little short for my trunk-mounted group 29 tray that was originally made for the BOSS 429. 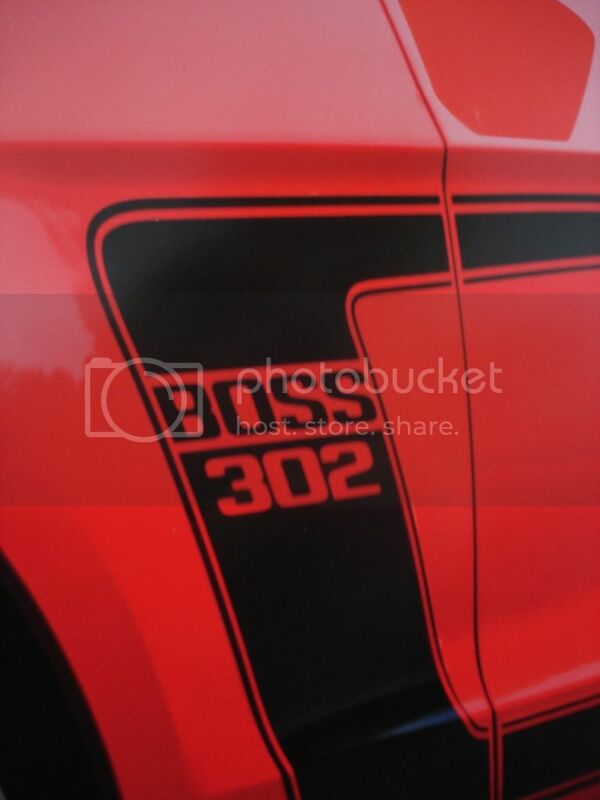 The BOSS 302 certainly starts now without a problem! I have a 2000 F-250 with the 7.3. I can let it sit 2 weeks without running or charging but that is about max. About a year ago it would run the batteries (has two batteries) completely dead in two days. Took it to the dealer and they discovered a leaking windshield (not leaking enough to even get the carpet wet). Water was getting into the GEM. Sealed the windshield and now it is back to the two weeks. Have a 2017 Mustang, if it sits more than a couple of weeks the computer shuts everything off so it doesn't run down the battery. I guess we think alike. My battery is a BTX 65 650 which is 650 CC amps. My Brothers is a 750 CC amps. It appears the 650 cc amp batteries are not sufficient to hold up to harsh weather if they set. My brother has had no problems. I have been pricing out batteries and am thinking Optima. Pricy I know. I'd rather not spend that kin of money. Ford lists a BTX 65 850 which has 875 CC amps. I'll check into those. I think my current battery is still under 36 month warranty so I'll check with the dealer. Any added on accessory could cause an excessive draw and should be disconnected before a draw test. Remote start just because it hasn't been used should not be given a pass, it has to draw some power to wake up when the remote is activated. The theft light would not be something to worry about if it only flickers on and off. Water leaks and dampness in in the interior can also cause wiring and/or module problems leading to excessive draw. I saw one truck that had muriatic acid was spilled on the rear carpet. It kept having intermittent electrical issues and deterioration of the chrome trim. Breathing while working on it caused irritation to the point of coughing. The insurance company wrote it off as a total loss. I have three Battery Tender trickle chargers. One is on my 20 year old F250 Diesel (2 batteries). The Battery Tender comes with an adapter that uses clips to the battery, then a short pigtail with a one-way quick disconnect. Then I have my Battery Tender (a larger one for the truck, which is parked outside), and bought the Battery Tender 25 foot extension. So where the truck is, there is just the line running out of the shop and over to the truck, then the quick disconnect. I just have to remember to remove the steering wheel lock, turn the key to ON (diesel start process to start the glow plugs), walk to the front and pull apart the quick disconnect, tossing the extra line on the driveway, get in, start and drive off. Look into the Battery Tender options, the quick disconnect and their extension if you need it. Page created in 4.187 seconds with 22 queries.